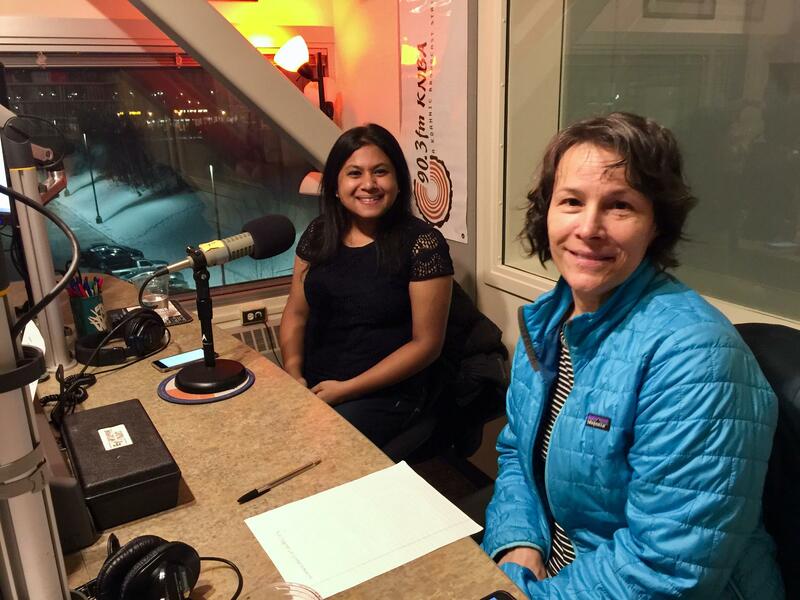 Rashika Rakibullah and Cindy Thomas visit KNBA's studios in mid January Women's March on Anchorage 2.0 - Coming up this weekend January 20th. Rakibullah says the March will start at Delaney Park Strip at the Martin Luther King, Jr. Memorial at 9th & L, and proceed to the Williwaw (609 F street). There will also be local speakers discussing issues woman face in Alaska specifically, including environmental justice. Thomas adds that speakers will include the League of Women Voters talking about a new ballot process available: voting by mail. If you just want to join for the rally at Williwaw, the marchers should start arriving there around noon. The Women's March on Anchorage 2.0 is planned for 11am Saturday - organizers Rashika Rakibullah and Cindy Thomas hope the turnout is as good as last year, when crowds of supporters attended despite a sudden snowfall.